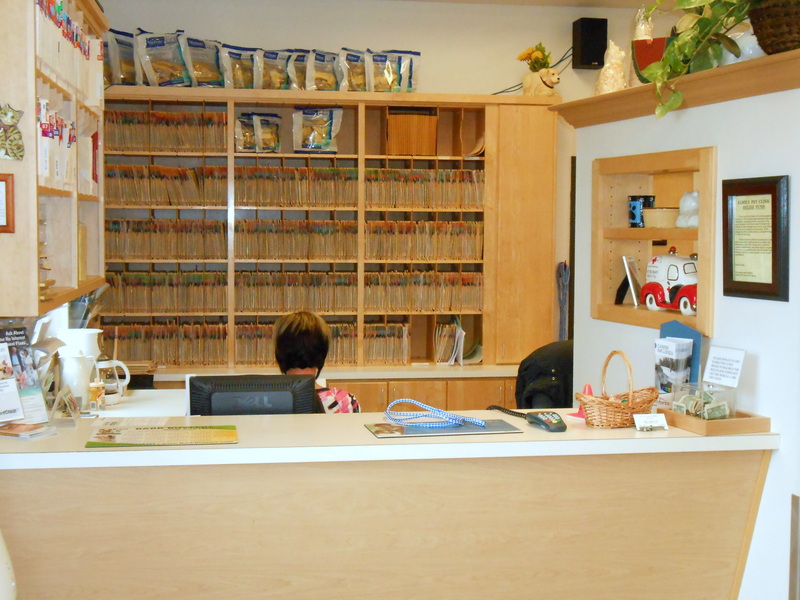 This is our main reception desk in the front lobby. We routinely care for a variety of exotic pets, including but not limited to: rabbits, guinea pigs, hamsters, gerbils, ferrets, hedgehogs, sugar gliders, coatimundi, chickens, and ducks. We are equipped to handle cattle, goats, sheep, pigs, and camelids at our hospital, but are also happy to visit your farm to care for your livestock.